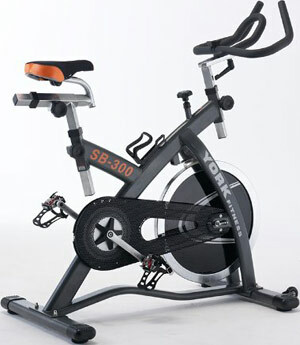 Is The York SB300 Diamond Exercise Bike Too Simplistic Or Just Enough For Keen Spinners? The York SB300 Diamond Indoor Training Exercise Bike is an odd, compact little bike that is best for intense spinning sessions and this intent is clear from the use of an 18kg cast iron flywheel, steel frame and direct chain drive. The look is perhaps deliberately uncomplicated as there are other aspects to the specification that suggest the user has been carefully considered, such as the use of adjustments, cushioning and the emergency brake. 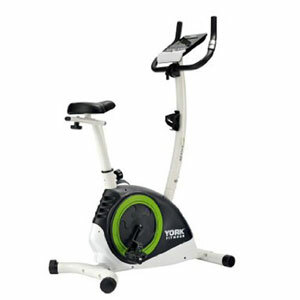 Does The York Perform 210 Exercise Bike’s Specification Prove It Is Not A Low-End Bike? The ergonomically designed York Perform 210 Exercise Bike has quite an impressive specification for a low-end model with its 7kg flywheel, hand-pulse sensors, LCD screen, self-levelling pedals, drink bottle holder and transportation wheels. York Fitness seem to have considered a lot of the elements of using an exercise bike but do buyers feel it is an enjoyable experience? Is The York Active 110 Exercise Cycle A Little Too Basic To Be Worthwhile? The York Active 110 Exercise Bike looks like a simple exercise machine with few “stand out” features but enough in the specification to do the job it hopes to provide. This ergonomic bike has a 4kg flywheel, self-levelling pedals and plenty of programs and resistance settings to provide a good workout and also comes with a drinks holder, wheels for transportation and a 5.75” LCD display. This display provides data such as speed and time as well as pulse reading from the sensors in the handlebars. 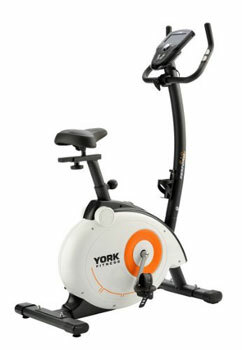 This York exercise bike seems like a great starting point but it is a little limited in its abilities?